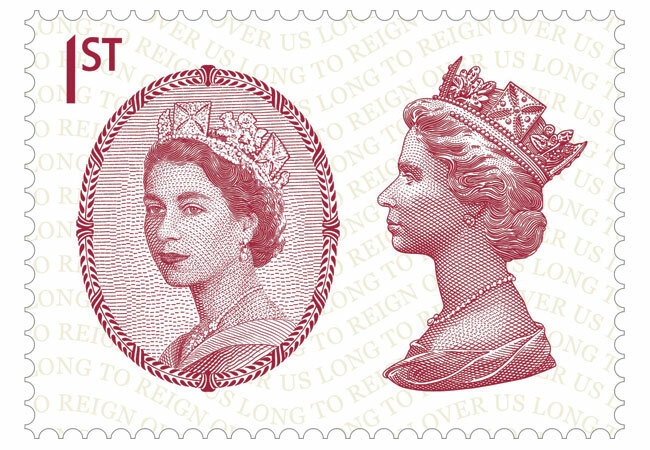 Royal Mail has issued a set of five new stamps marking Her Majesty Queen Elizabeth II becoming our Longest Reigning Monarch. 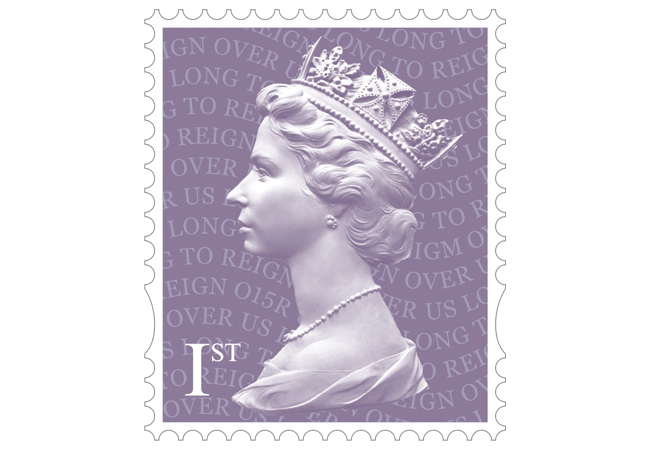 Each stamp features a different regal design highlighting a key Royal motif, and there is a new 1st Class definitive for use on everyday letters too. In a nod to the historical precedent for the occasion this stamp features William Wyon’s ‘City Medal’. Depicting the head of Queen Victoria – the UK’s previous longest reigning monarch – the medal was struck to commemorate her first visit to London. The image on the Penny Black was based on this portrait, which in turn was based on a sketch of Princess Victoria when she was 15 years old. Dorothy Wilding’s three-quarter profile photograph of Queen Elizabeth II was one of a series taken in April 1952 and appeared on British postage stamps from 1952 until 1967. It is reprised here, an unprecedented pairing of the two most important images of the Queen in British postal history. The House of Windsor came into being in 1917, when ‘Windsor’ was adopted as the British Royal Family’s official name by a proclamation of King George V, replacing the historic name of Saxe-Coburg-Gotha. 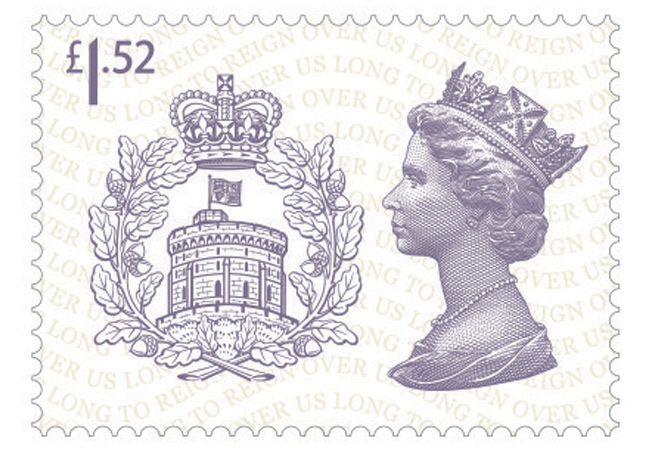 The Badge of the House of Windsor shown on this stamp – featuring the Round Tower of Windsor – has been in use since 1938. 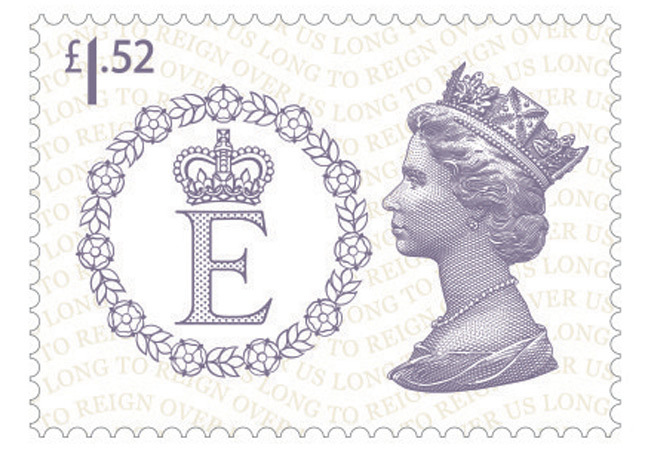 The second high-value stamp bears the Personal Flag of Queen Elizabeth II. 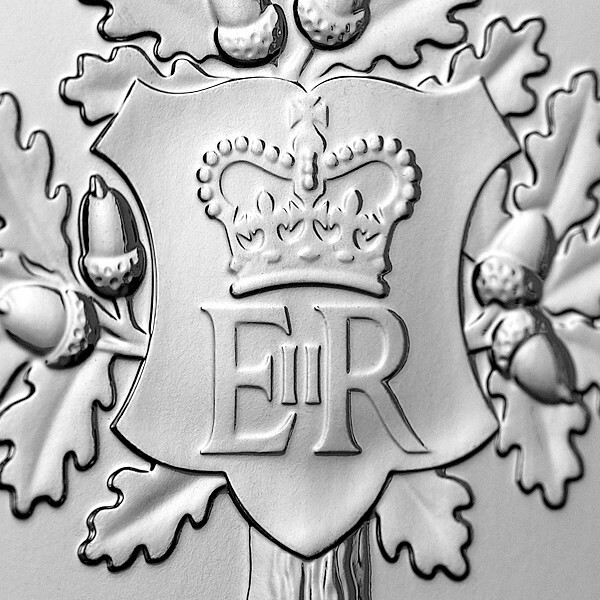 This is a standard that can be used on any building, ship, car or aircraft in which the Queen is staying or travelling. It is often used to represent her role as Head of the Commonwealth. 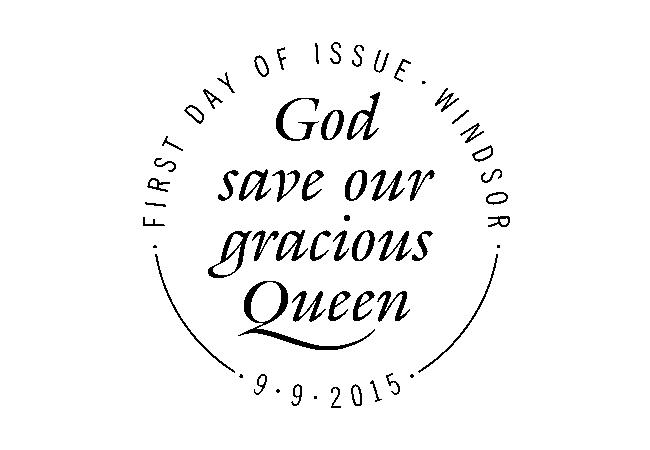 There is also a new commemorative postmark featuring the opening lines from the national anthem – ‘God Save Our Gracious Queen’ – which complements the stamps superbly. Any commemoratives using this postmark are sure to be sought after in the future – it is a true one-of-a-kind. 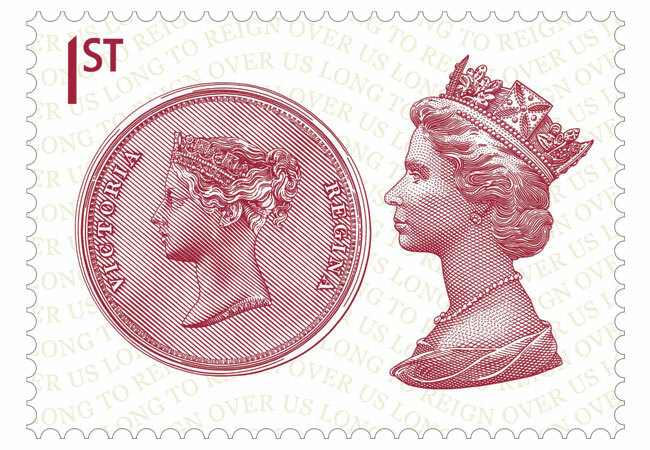 Suffice to say, these five new stamps are an intelligent, subtle and dignified tribute to Her Majesty Queen Elizabeth II’s remarkable reign. As it is extremely unlikely her record will be broken in our lifetime, these could well become some of the most sought after QEII stamps ever issued. This week a new £5 coin will be issued to mark Her Majesty Queen Elizabeth II becoming our longest reigning monarch on 9th September. One of the very first coins has been issued by Jersey and I’ve been given exclusive access to go behind-the-scenes for the blog. 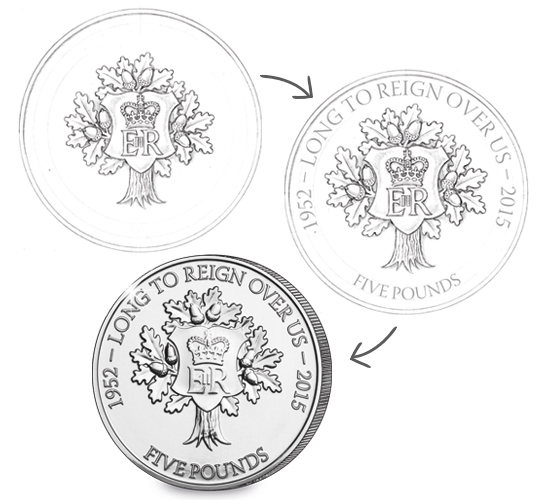 The new £5 coin has been designed by Timothy Noad, whose work has featured on many UK coins over the years. He has even designed the Gold Sovereign twice, an unprecedented honour which is testament to his passion and understanding of numismatic art. “The oak tree came to mind as an emblem with many relevant associations. The Royal Oak, as well as a popular pub name, is a well-known image and oak branches form part of the heraldic badge of the House of Windsor. But getting from an idea to a struck coin is a time consuming process, a real labour of love. First of all the design is hand-drawn, and careful consideration has to be given to the shape and size of the engraving so it can be accurately minted. Then the wording has to be laid out, with the added complication of retaining the typesetting within the circular shape. Finally, the finished drawing is scanned and processed, ready to be made into a die which will eventually be used to produce the commemorative coins you can own. The most affordable limited edition version of the coin is the Proof Edition, featuring the addition of gold ink. Just 4,950 will be minted and these are sure to be popular. The coin is also being struck in a range of other formats, from a face value version right up to a staggering 5 ounce gold edition – I’ve held one and its sheer scale took my breath away. So there’s a type of coin for all collectors – and if there’s one thing I’m sure, it’s that this coin is a truly fitting commemoration of the remarkable reign of Queen Elizabeth II. 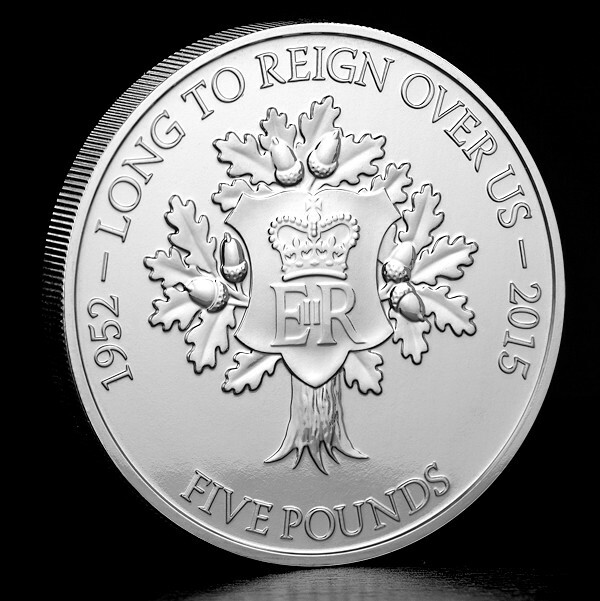 The Longest Reigning Monarch £5 Proof Coin is available to pre-order now.